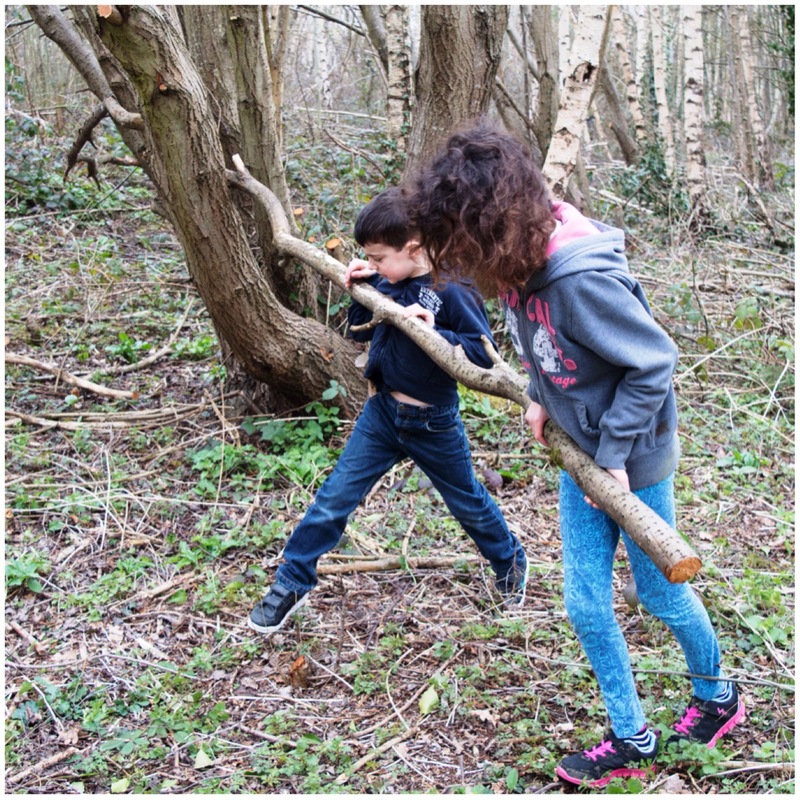 I went for a woodland walk with my kids last weekend to try and spot some signs of spring. We came across an area of the woods that had been recently thinned out and all the trimmed logs were lying around in piles. 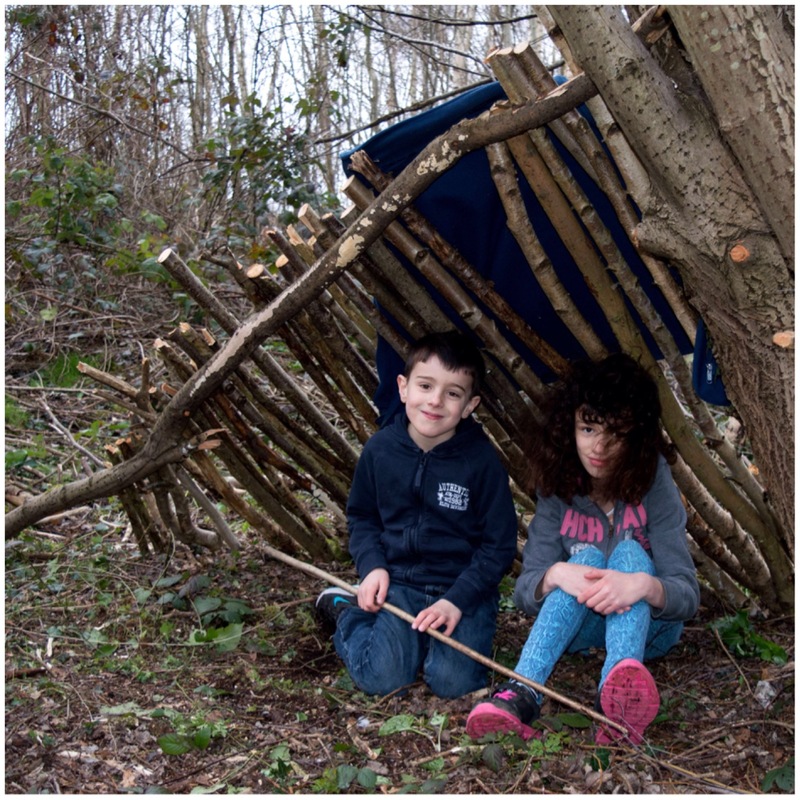 My kids started to build themselves a little den from this wood but wanted me to show them how to make something both of them could get under. 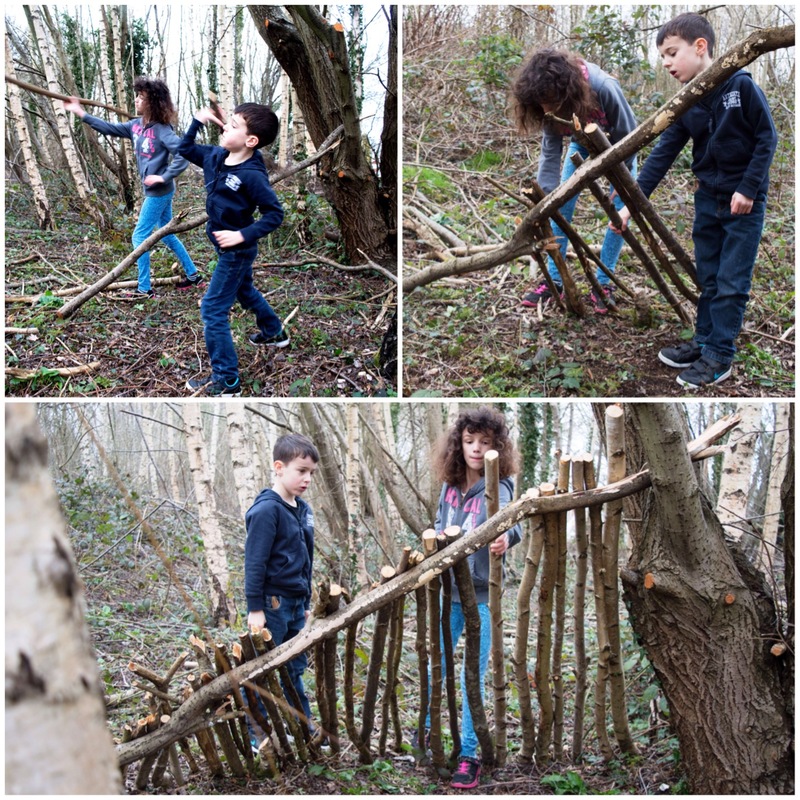 We only had an hour to build something so I decided to show them how to construct a quick lean to shelter. We spotted a large piece of wood and after a quick chat they inserted one end in between two trunks of Goat willow and snapped it to the size the wanted for a main roof beam. Then we found a flat area of ground and laid one end of the beam into a crux in the coppice stool and laid the other end on the ground. 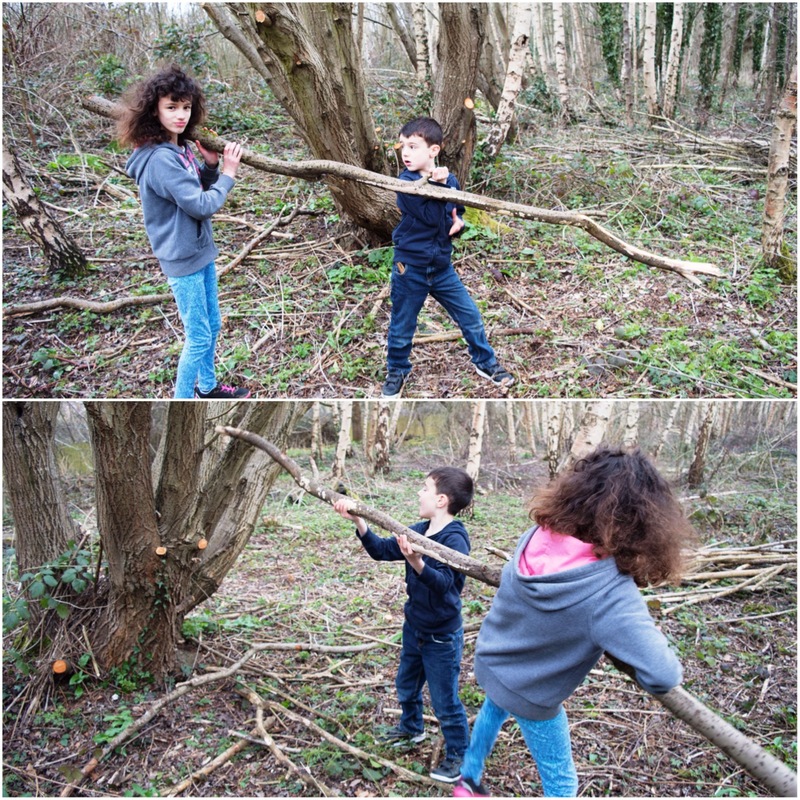 They cleared the floor of all the sticks and stones lying there and used the sawn off cuts of wood from the log pile to construct the wall of the shelter. I helped them out with this but as it was already pre cut it was just a matter of finding the right lengths. 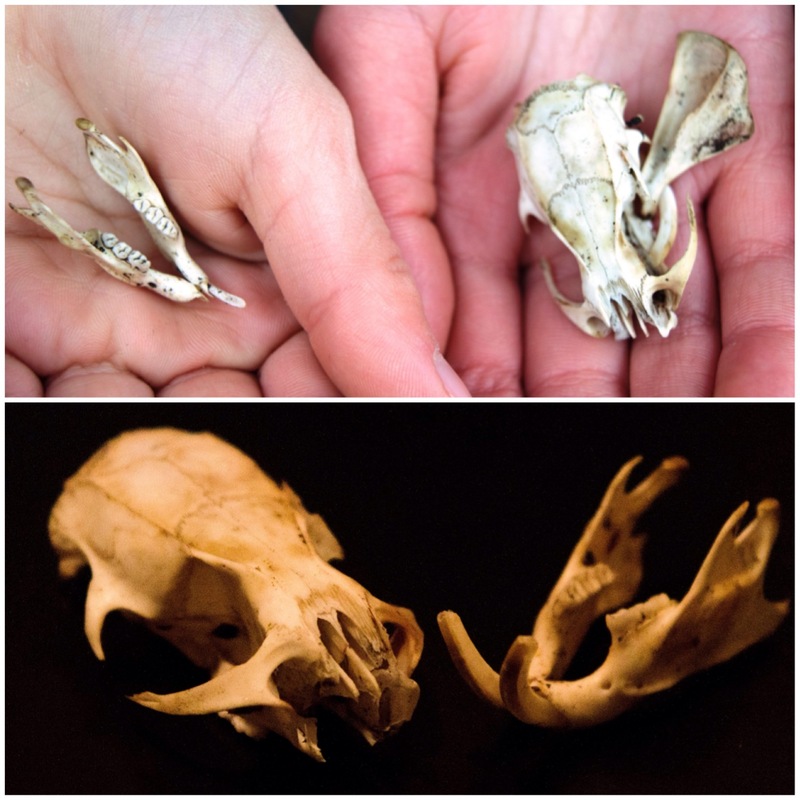 While we were building the shelter my daughter Catherine came across this rather lovely little squirrel skull. I am glad she spotted it quickly as it could so easily have been trampled under foot. 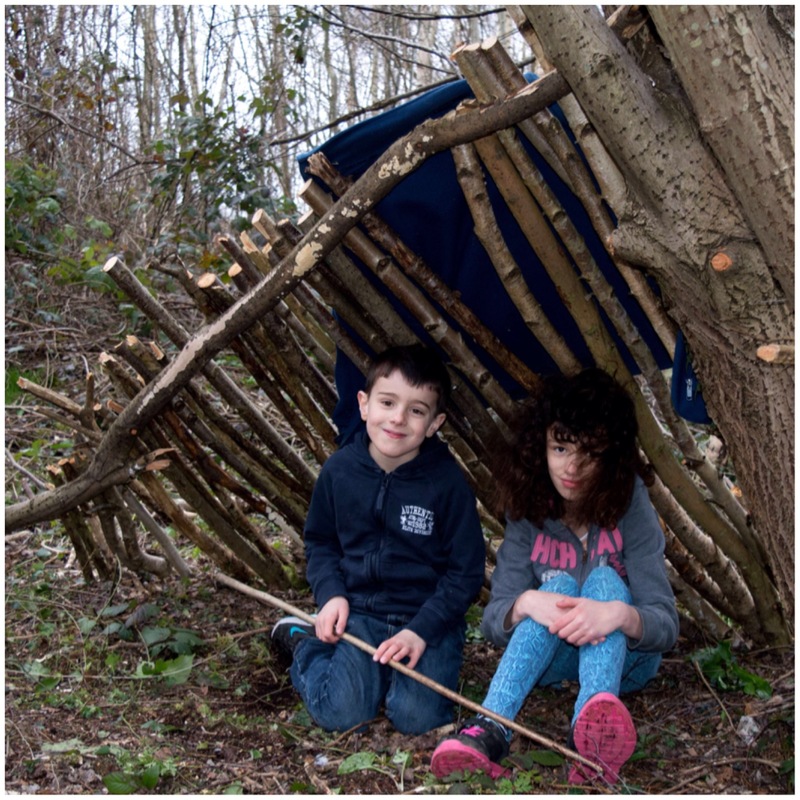 As we only had an hour we did not have time to lay thatch on the roof or make a raised bed but the kids got the idea and thoroughly enjoyed making their den. 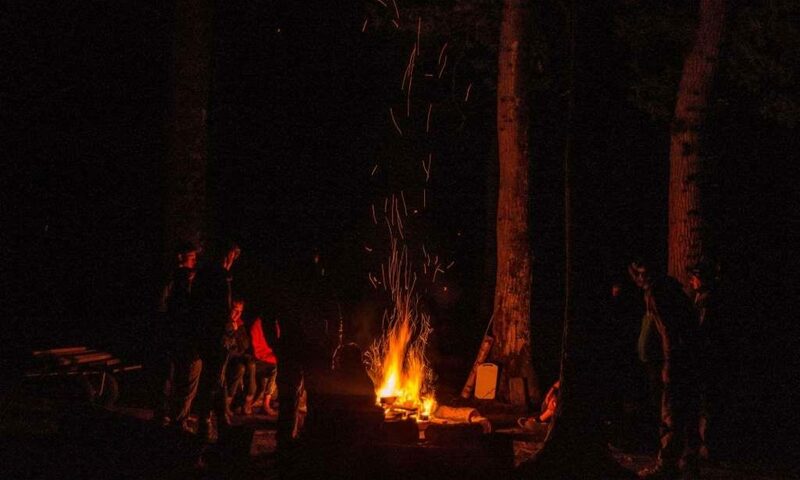 When we go camping in the summer I think this will be a good project for them to do so that it is fully weather tight. Lastly I got them to return the site to the way they found it by stripping all the logs of and putting them back on the pile. 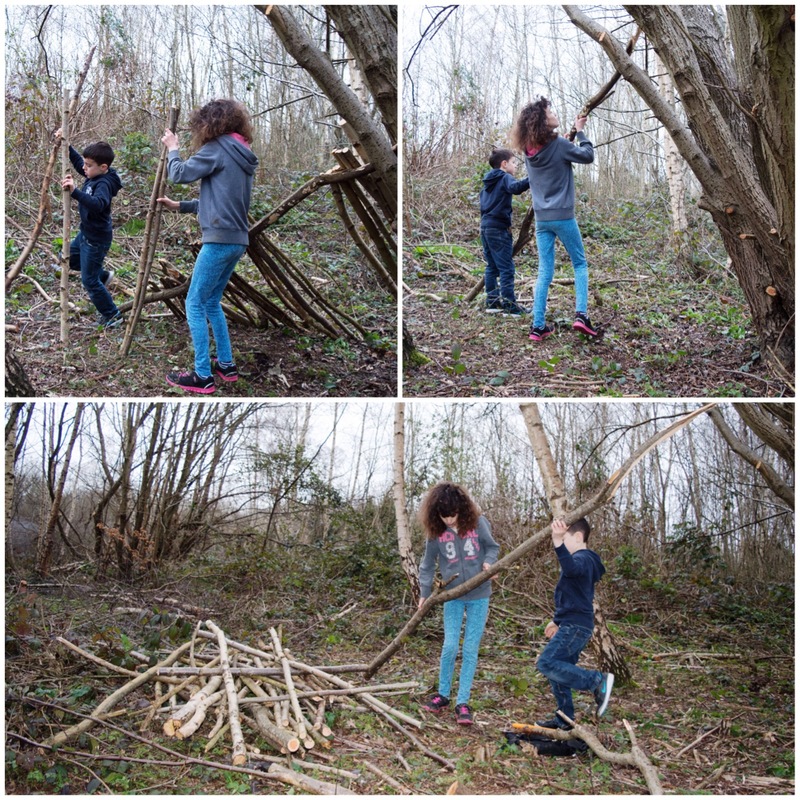 I appreciate that we did not finish the shelter but it did give my kids a little bit more insight into shelter building so that the next time we build one they understand the basics of what they are doing.